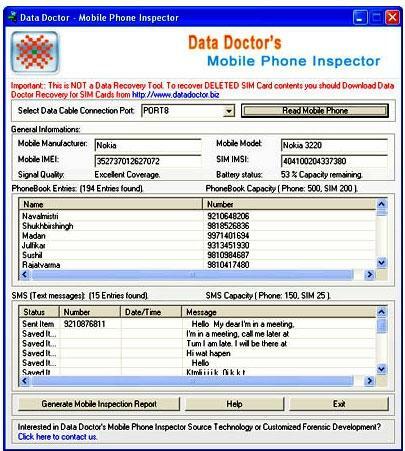 Mobile phone inspector utility generates complete report of mobile and SIM card phonebook entries SMS capacity status and all other general information. Cell phone forensic tool displays detailed information which includes mobile manufacture name mobile model number mobile IMEI number SIM IMSI number signal quality and battery status of mobile phone.  Mobile phone investigation program supports all major bands of mobile manufacturing company including Nokia Haier Motorola Sony Ericsson LG Samsung Spice i-mate HP etc. Mobile investigation application facilitates user with VC++ source code useful for educational usage customized development or in scientific investigation regarding mobile phone technology. Cell phone inspector utility displays all phonebook entries with contact name and number. Mobile phone inspector software displays phonebook and SMS capacity of SIM card and mobile phone memory. Software can be easily install and uninstall on your system having windows operating system such as windows 98 2000 2003 ME NT XP and windows Vista. Features:* Mobile inspector software provides highly interactive graphical user interface for easy software access. * Cell phone forensic utility supports all brands of mobile phones including Nokia Samsung Motorola Sony Spice etc. * Mobile investigation utility displays SMS text message along with datetime and sender phone number. * Cell phone inspector program generates complete mobile phone report in a text or html file for further reference. *Software is easy to operate so end user does not require any technical skill to use this tool.